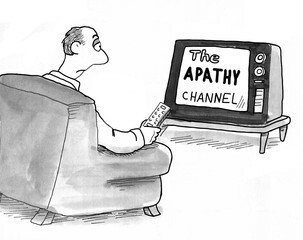 Merriam-Webster’s definition of apathy is a “lack of feeling or emotion; a lack of interest or concern”. So what is Data Apathy? Data Apathy is the lack of interest or concern about your data and the implications of that disinterest. Many (if not all) of us have heard the term, “We never have time to do it right the first time, but we always have time to do it over”. Think about this with respect to your data and the struggle you have had with finding child/case/family records, hearings, volunteers, professionals, hours, etc., and running accurate and complete reports. The CasaManager support team frequently fields questions about a number of missing data points from reports, from lists, and from quick field searches. When we drill down to the issues, we most often determine that the data fields for those points have been left blank. This comes down to a simple equation: Nothing = Nothing. If nothing is in the data field, then nothing will appear on reports. The same applies to bad data. Bad data in = Bad data out. So when you are looking for a volunteer to assign to a case, but the volunteer is not showing up in the list of advocates, then you should first look to see what the volunteer’s status and code are. If a volunteer’s code is ‘Info’ or ‘Trainee’, that volunteer will not show up in the list. Why is that? It is because only ‘Advocates’ or ‘AOKs’ show up in the list of volunteers to be assigned. But why is the volunteer’s code still ‘Info’ or ‘Trainee’ if you’ve added the volunteer to CasaManager? It is because critical pre-service dates have been left blank. Those critical dates trigger a volunteer’s code. Volunteer data input requires more than just entering their names and personal information into CasaManager and thinking that that covers every data point related to them. When you skip over fields for the sake of time, you do yourself and your data an injustice. You must become familiar with the data input process and do that on a consistent basis if you want quality data output. You must stop skipping over fields for the sake of efficiency or lack of familiarity, because it is inefficient when you have to back-fill missing data. How will you run a report for volunteers or trainees if most of the fields are left blank? How will you run a report for children served if the children were assigned to a volunteer but that data was not entered into CasaManager? These and many more questions are ones that you should consider and think about data apathy and how much you care about your data. http://www.casamanager.com/wp/training-schedule/ The recordings allow you to pause and play as you are learning and performing functions at your own pace.